Napoleon Bonaparte purportedly said "Let China sleep, for when China wakes, she will shake the world." As Thomas J. Christensen, the author of his recently published "The China Challenge: Shaping the Choices of a Rising Power," reminds us, "For millennia China was arguably the greatest civilization on the planet and for many previous centuries its most powerful empire." We are mostly dependent on various news stories about China to have any idea what is occurring, but the fact remains that just as the U.S. has its optimists and pessimists, conservatives and liberals who influence policy the same exists for China, so a lot depends on who is being quoted. Generally, though, it is only the top leaders who are. That means we are getting the Chinese "party line" and the occasional general or admiral warning against any aggression. China did not begin to awaken as a modern nation until after the death of Mao Zedong, the founder of the People's Republic of China, a Communist with a capital "C." Christensen notes that, while keeping its political ideology, the leader that followed him made a "peaceful transformation launched under CCP leader Deng Xiaopping in 1978 and the collapse of the superpower Soviet Union thirteen years later that made China appear to stand tall again among the great powers." The transitition was to a capitalist-based economy. Christensen believes that "China's return to great power status is perhaps the most important challenges in twenty-first century American diplomacy," but to put that in context he points out that "China's per capita income is only one fifth that of the United States" and "though a true trade superpower, many of its exporters are controlled at least in part by foreign investors." "Still, the pessimists do not give enough credit to the sustainability of U.S. leadership in Asia," says Christensen. "For example, they often underestimate the value of American's unparalleled network of allies and security partners." You can be sure that the Chinese leadership does not. They also have, as one would expect, concerns about U.S. military power in their area of the world, but they feel the same about Japan and South Korea as well. "China is not currently an enemy of the United States," says Christensen, nor is it likely to be for a long time to come. "It does not need to be contained like the (former) Soviet Union. Nor should China become the kind of regional or global adversary that we have faced in the past, although that outcome, unfortunately, is still a distinct possibility." That possibility depends on China's leadership now and in the future. For now they are concentrating on their economy and are likely to do so for many years to come. 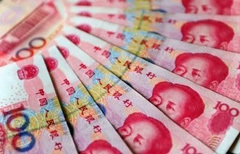 "China's economic clout is real and growing rapidly, especially since the 2008 financial crisis. 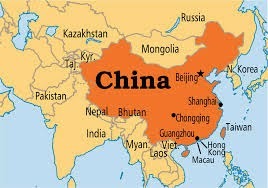 China has been the main engine of growth for the world's economy since that time and, by some measures, has become the world's number one trading state." There is only one reason why the U.S. has not yet recovered from the financial crisis and his name is Barack Obama. I suspect that Obama is held in disdain by the Chinese leadership despite all the public handshakes. For one thing, China weathered the financial crisis far better than the U.S. "One of the burdens the new Obama administration inherited in early 2009 was a China bearing a mix of cockiness and insecurity that would negatively influence its policies in 2009-2010," says Christensen and as the U.S. foundered in Afghanistan and Iraq "American power inspired less awe." "Sometime in 2012, the 'Asia pivot'" of the Obama administration "would be jettisoned in Washington for the more subtle 'Asia rebalance.'" If you get the feeling that the Obama administration has no real China policy or one that will have little influence, you are right. Various scholars and diplomats will continue to keep a watchful eye on China and most surely many corporate leaders and U.S. entrepreneurs will do so as well given its huge population as a marketplace. It's already a great tourist destination.